Concerto in A minor, Op. 3/6 RV 356 "L'estro armonico"
Ein intelligentes Vivaldi-Portrait, das im Dschungel zahlloser Konkurrenzaufnahmen Beachtung verdient. 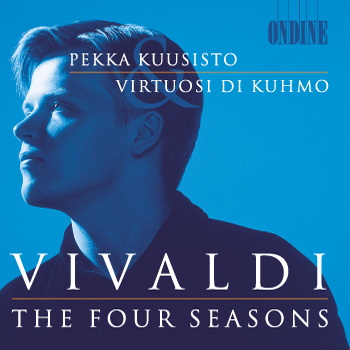 Kuusisto (...) is a soloist pure of tone, lithe of spirit, rich in imagination when it comes to capturing the music's Baroque flavour. One of the finest recordings of the 4 Seasons in years (...). This is playing and recording very much in the luxury class. (...) No matter how crowded the catalogue may become, there will always be room for recordings of this quality.